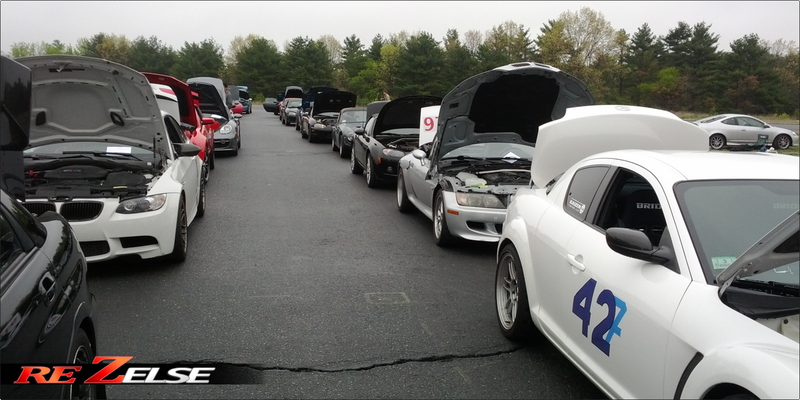 Monnar Motorsports: Renegade Miata First Points Event of 2012! 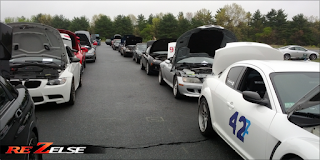 With the rain letting up early this Saturday morning, we were able to have a dry first event. Today, I was planning on running on street tires to really feel out the natural behavior of the differential. I want to understand it's behavior a little bit more so I can drive the car at it's limits more comfortably. Kaizen Tuning adjusted the rear alignment a little bit, bringing the camber from -2.6 to -1.5. This should help in keeping the rear planted and allow me to feel out the rear wheels more. My adorable co-driver for the day? I'm not sure how I plan on translating that for tomorrow's event on R compounds, but I'll try a few things out. Something tells me that the car may be too stiff on the front swaybar, but it could just be a hunch. At the end of the day, I got down to a 1'12.8 clean, with Kristyn getting down to a 1'21.6 clean. 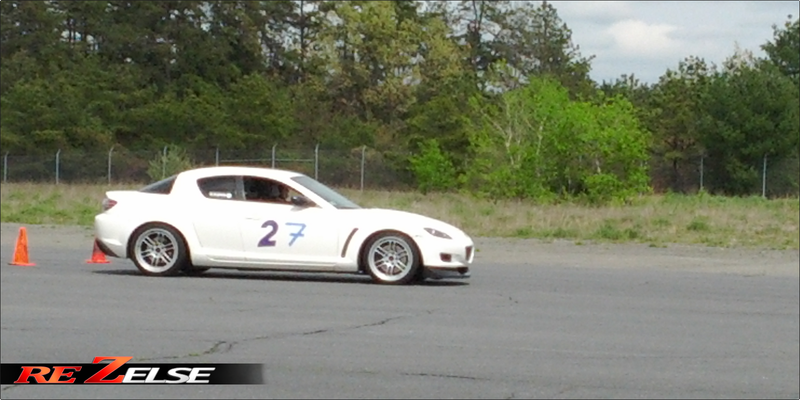 Given her experience with the Miata and that she has never driven the RX-8 before, she did great! The rest of the results are located on the Renegade Miata website, here. Kristyn going for her last run! It was a great event overall, and it was fun to drive the car on street tires for once. Big thanks to Kristyn for co-driving with me, providing me feedback to help me out, and making the event that much more fun. 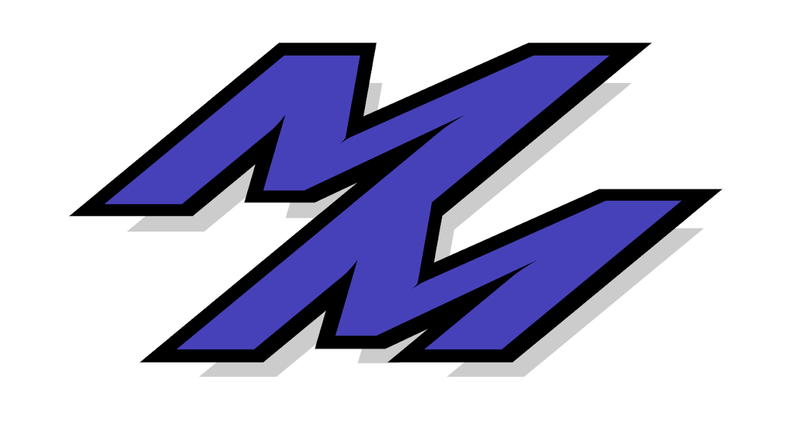 As for changes that need to be made to the car to make it faster and more stable, I have a few ideas brewing in my head. In the meantime, below are videos of my fastest run and Kristyn's fastest run. Be sure to check out all the videos on the YouTube channel. Stay tuned for tomorrows event!